Finding a way to promote your business to customers and potential customers is important, and you want to do so in a way that actually gets your name in front of them regularly. Many people need help getting organized, which means that calendars make excellent promotional products. Promotional calendars and planners come in many styles and options, offering you some wonderful ways to help customers get organized while promoting your business. Here’s a closer look at a few of the great options available. 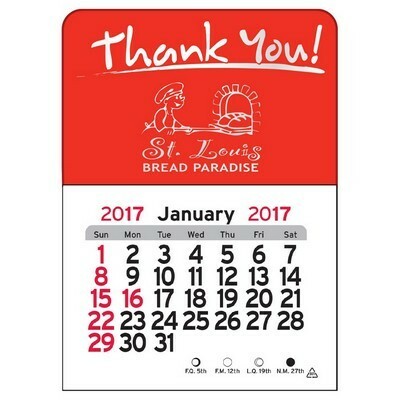 Wall calendars are particularly popular because they are easy to hang up and the entire family can write appointments and events on these calendars. This is a promotional product that will get used all year long, which means customers will constantly have a reminder of your business. It’s easy to find a calendar with a theme that goes with your business, with options from scenic calendars to dining delights calendars. Another great option if you want to help customers get organized is the commercial planner wall calendar, which offers the addition ruled lines and symbols that make planning even easier for users. 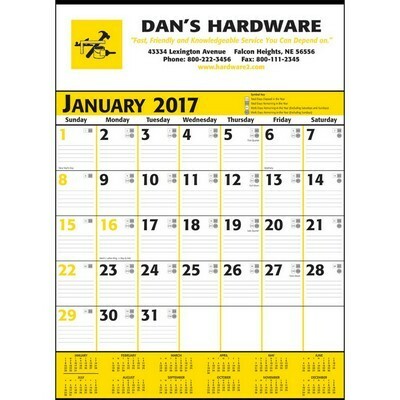 These calendars are great for manufacturing, construction, industrial, and education companies that want to reach out to customers in a unique way. Although they may not offer a lot of room for planning, mini calendars offer a fun way that customers can keep track of the date and they are perfect for cars, vans, and more. Many are designed with adhesive backing so they can be easily stuck in plain sight. Available in multiple colors, they make great promotional products for auto companies, credit unions, financial companies, banks, and more. It’s important to choose promotional products that your customers will find helpful. Make planning easier for your customers and choose calendars and planners to promote your company today. 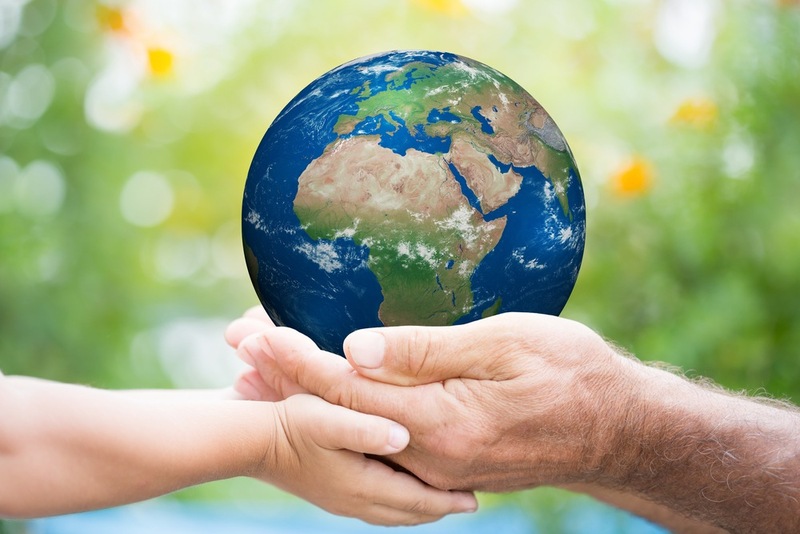 In honor of Earth Day and the increasing traction that the eco-friendly community is gaining, we wanted to focus on ways that you can integrate the "green" mentality into your promotional products. More and more people are looking for ways to be more eco friendly and by focusing on this market with your promotional products, you may find even more success. Here are some great promotional products to consider that will help you achieve this goal. If you have been to the grocery store in recent years, then you are already aware that more people are using reuseable totes instead of the plastic grocery bags. These totes are better for the environment because they can be used over and over again by people. Not only will people use them, but every time they use them, your business logo is in the eyes of other shoppers. Drinkware has been a very popular promotional item for many years but if you are looking for a more eco-friendly option, you may want to consider drinkware that is reuseable instead of disposable. There are many options for this such as acrylic, hard plastic, glass, and even metal drinkware. People love these because they are reuseable and better for the environment. This is not only something you can be proud of in terms of helping the environment, but another perk of this is that the more they use it, the more it will be seen by others. 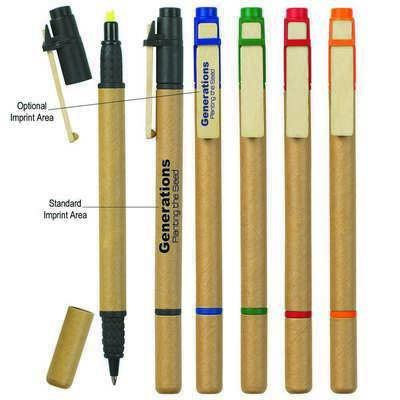 Another set of items that people have been using for promotional product for years are office supplies. However, did you know that there are eco-friendly items in this category that you can use for promotional products? Some of the popular kinds include eco-friendly notebooks, pens, and even highlighters. People always need these kinds of items so choosing an environmentally conscious item can make your promotional products even more successful. If you are looking for even more eco-friendly items to use for promotional products, visit our website or contact us at Promotion Pros today to explore your options. Promotional products have been used by companies for years but there are still some companies that are skeptical about the benefits associated with using them. There are many different reasons that companies utilize promotional products for the growth of their business and they see many benefits through the process. If you are undecided on the subject of the use of promotional products for your marketing, then this list of benefits may help you see why they are so popular. Seeing is believing and the more you show off your brand, the more recognition your brand will get. Part of marketing is creating and maintaining your brand. With the right promotional products, the recipients will not only keep the items, but they will use them as well. It can serve as an endorsement for any individual that sees them using your product. In fact, when you look at the statistics, 90 percent of the people who get promotional products use them at least once and week and 10 percent actually give the product to a family member or friends. At the same time, 87 percent of people kept the promotional product for over a year. Using promotional products can improve the impression of the company when people get a branded item and with 56 percent of people, this is the overall consensus. When you choose the right promotional items, then your recipients are more likely to use them. When you choose items that are useful and tangible, then you will see a high return on investment for the items. The right items can integrate into the lives of people and even impact their daily routines. Some of the best products can be used in the home, the work area, and the kitchen. When you find the right product, there are even better results. For example, when a product is chose that is useful and tangible, 42 prcent had a more favorable impression about the brand, 60 percent have done business with the brand, and 27 percent saw the item as a constant reminder of the brand. On top of all this, the right promotional products are very affordable and the return on investment is easy to be seen. We have already mentioned that promotional products are affordable but they are also less expensive than advertising and they can have a better result. In advertising, many people think of radio, television, online advertising, and print media. However, none of them are as effective as promotional products and they cost the company much more. With promotional products, 20.9 percent of people made a purchase after getting the item. With other types the numbers are much lower: 4 percent making a purchase after seeing a print ad, 1 percent making a purchase after watching a TV commercial, and 6 percent making a purchase after seeing an online advertisement. The answer is clear when you look at the statistics: not only do promotional products provide a lot of benefits for companies, but they also have a higher success rate. Take a look at what we have to offer on our website and find the perfect promotional products to boost your marketing tactics today. For hundreds of years, unique promotional products have been used as a part of political campaigns. In fact, it was George Washington who first used commemorative buttons back when he was elected the country’s first president. This year is a very busy and competitive election year, promotional products supporting political campaigns are very hot. Are you trying to get people to vote? Is your company supporting or spreading awareness about a specific candidate? Here’s a look at how using these products can help support your goals. Spreading awareness is an important part of any political campaign, and promotional products can help you to get the word out about a specific candidate. Remember, people won’t vote for candidates they aren’t familiar with. Whether you’re trying to get the word out about a local, state, or presidential candidate, promo products like bumper stickers and buttons can help educate your community. Another way that unique promotional products can be used to boost your political campaign is to use them to help you raise some money. 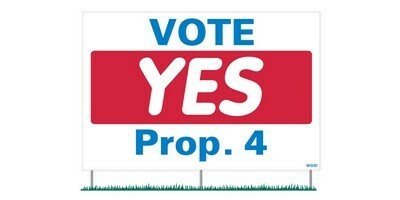 Raising funds is an important part of campaigning, and creative promotional merchandise can be sold, such as tote bags, water bottles, coffee mugs, and apparel. Not only can you raise money with these products, they’ll also help you further get your name out there. Getting voters to head to the polls is essential, and you can use promo products to encourage voters to rock the vote this year. 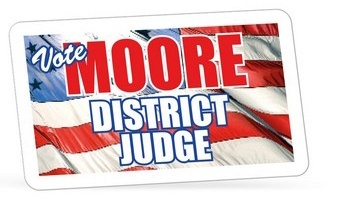 Come up with some great giveaways to get your community voting or hand out promo products to people who vote. Of course, these are only a few of the ways that you can use promotional products to boost political campaigns. Give your campaign a boost today and start making the most of promo products. Take a look around your house or office, chances are you will find at least a couple of pens somewhere with a business name on them. A piece of personalized stationery, pens in particular, are the type of promotional item most people keep when they throw the rest of their goodie bag away. Anything from a multi-tool, to a tape measure, or anything that you would possibly find in a toolbox rarely gets thrown out. This is because people don't know when they might need it, but it's always handy to have another bottle opener, or mini-screwdriver set somewhere around the house. You can really get into some unique promotional products that some people would never think about giving away when you start thinking about handing out tools. Perhaps the best type of promotional item for brand recognition, clothing with your company's message will not only reach your target customer, but also everyone they see while they wear it. T-shirts are a good place to start, but if you really want to make an impact, go for something people will use more often, such as a sweatshirt or jacket. It is our goal to make sure you are completely satisfied with everything you order from PromotionPros.com. We will do everything we can to get your promotional items to you as quickly as possible, and we strive to keep our prices low. Take a look at our extensive selection today to get some ideas for your next promotional giveaway. Sunglasses become extremely important to people all over the country in the spring and summer. During these two seasons, more people wear sunglasses than any other time of the year. Because they are so popular among the population, it makes perfect sense that promotional sunglasses are a great investment for any company. They are an ideal product giveaway at a low price point. People will use them often and you will not pay an arm or a leg to get them made. They are great for outdoor spring and summer events like concerts, picnics, and more. People will want to wear sunglasses at these events and you can provide them. With the right design, they are extremely fun for people of all ages. There are many kinds of sunglasses but the ones that have proven to be the most effective in terms of promotion are the neon sunglasses and they are great for all ages. Not only will the people that receive your sunglasses likely use them at the event, but they are also likely to hold onto them and continue wearing them throughout the season. With neon sunglasses, the logo or brand name is placed right on the sides so that when worn, the logo or brand name is constantly seen by others. During the spring and summer, there is no better way to constantly get the name of your company out there in an effective way. Even if only the individual and three other people see the sunglasses and take notice of the name on the side, that is four more people per pair that you have managed to make an impression on. If the person continues to wear the sunglasses multiple times, which is likely because people wear them often during these seasons, then even more people will see your company name. The impact of promotional sunglasses will last throughout the spring and summer even if you only use them at one event. 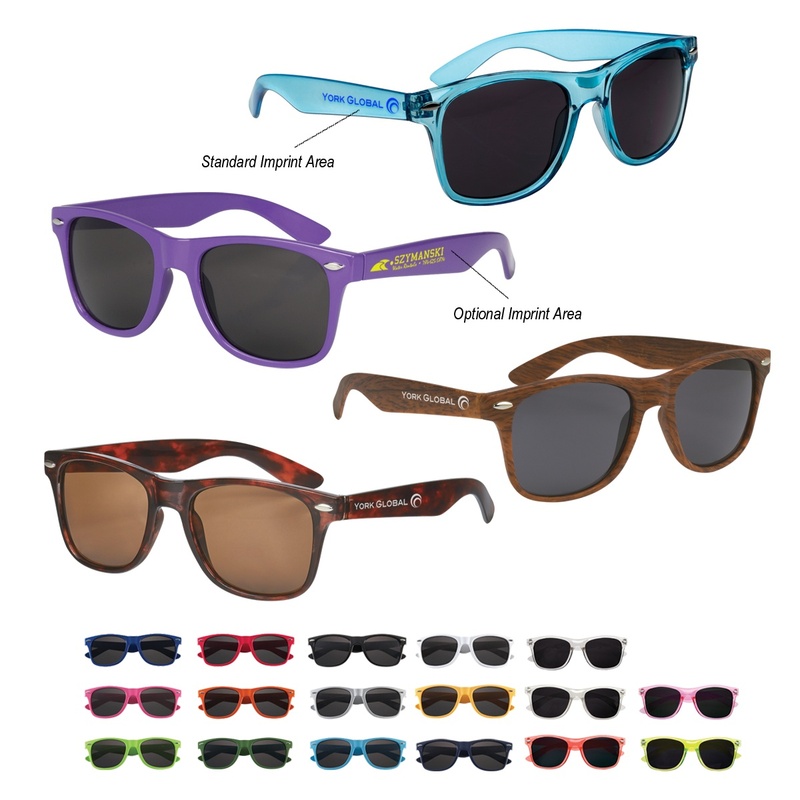 If you are looking for a great promotional product for the upcoming seasons, then consider promotional sunglasses. Take a look at our offerings and contact us at Promotion Pros with any questions. It’s March, and March Madness is here once again. Look around and you’ll see March Madness themed items everywhere, and companies can actually learn quite a bit from the NCAA’s March madness marketing techniques. Obviously, March Madness is a huge success for the NCAA, and here’s a closer look at a few things you can learn from their success. The NCAA uses games and contests as promotional tools, and your company can too. Start using games and contests to teach your customers and potential customers all the benefits your services or products have to offer. They’ll have fun competing for exciting prizes and you’ll reach more people for your business. You can use unique promotional products for prizes, which will continue to market to current and potential customers. Look at all the great logos, slogans, and names the NCAA has surrounding March Madness. You hear terms beyond March Madness, including the Elite Eight and the Final Four. These slogans are heard all the time. 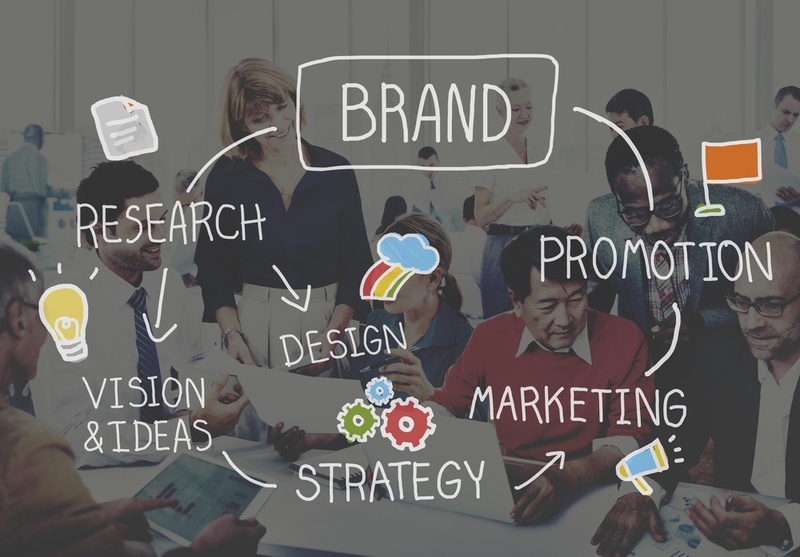 Companies can learn from this, ensuring that they have great logos, slogans, and names that people will remember, and those logos, slogans, and names can be added to promotional products as well. March Madness is a huge event that many people get involved in, and tying in your own promotional efforts to that event is a great way to leverage your brand. Not only can you tie-in with March Madness, but you can tie-in with other big, well-known events as well, increasing your results by associating your company with something people are already familiar with. Marketing agency EKR recently ranked the March Madness contenders by brand, finding that Duke University’s Blue Devils have rabid social media followers who share their posts at a rate of 27:1 compared to runner up Texas A&M. Can your business offer followers the kind of emotional engagement that gets likes and shares? If not, it’s time to figure out what makes people really love your company. 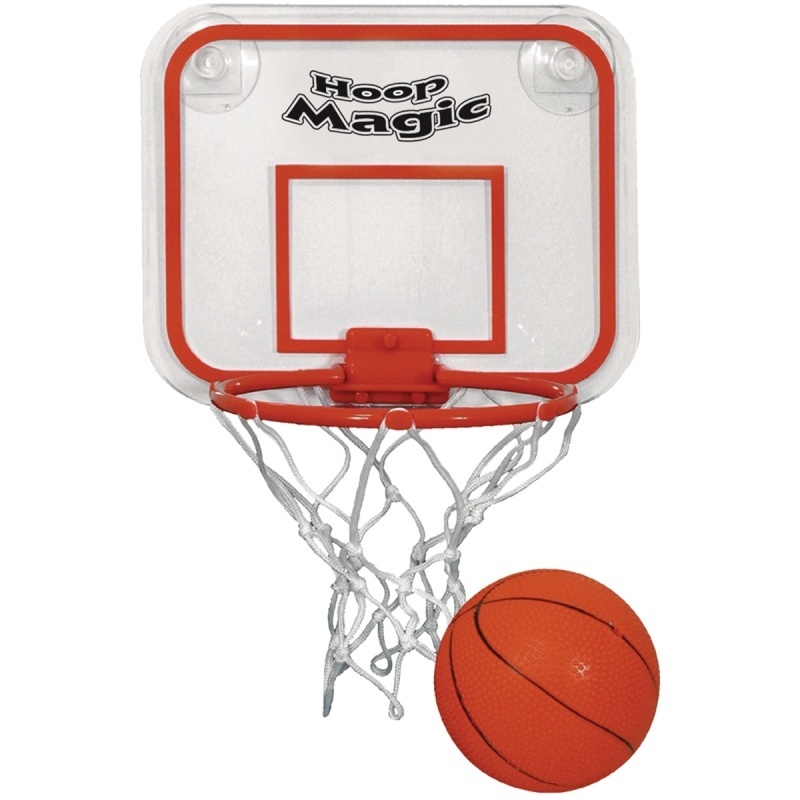 If you’re ready to start leveraging the March Madness marketing techniques used by the NCAA, take the time to find unique promotional products you can use to successfully market your business.